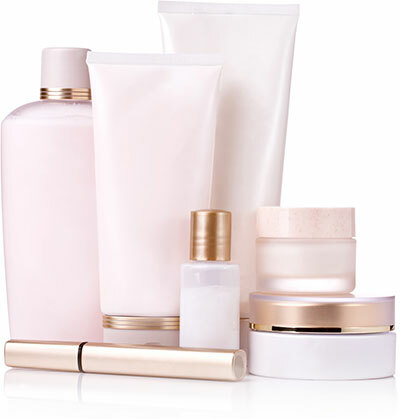 Skin Care Products are an important compliment to cosmetic skin treatments, especially for post-procedure care. Maintaining an active skin care regimen on a consistent basis can help keep your skin healthy and younger looking, while protected it from sun damage. For best results include medical-grade Anti-Aging products in your routine, available only from your doctor or licensed clinician. If you’re serious about healthy, beautiful skin, here are several key elements to include for an effective Anti-Aging skin care regimen. Although it may be the last thing you apply before makeup, it may be one of the most important. The sun is the biggest cause of wrinkles. Whether it’s bright and sunny or cloudy and rainy, using a good sunscreen may be the number one anti-aging prevention strategy for skin care products. Use sunscreen every single day. A form of vitamin A applied directly the the skin in a cream or gel, is one of the most effective products on the market to reduce lines and wrinkles. A dermatologist can recommend the Vitamin A product that is best for you.. There are different strengths and formulations that may be right for your skin. Adding a gentle exfoliator to your routine can help remove old dead skin cells and increase circulation, unclog and reducing pore size for smoother skin. These will help to brighten and smooth for radiant skin, revealing the younger skin underneath. Exfoliate sparingly, e.g., once or twice a week. Over exfoliation can damage your skin’s natural barrier. Antioxidants fight free radicals that breakdown the natural collagen in our skin. A good complement to sunscreen, antioxidants help protect us from our environment. They provide a prevention barrier that help guard against free radical damage from pollution, sun, and stress, for instance. Look for ingredients like Vitamin C & E.
An even skin tone can make a surprising impact on the overall youthful appearance of your skin. Sun damage, hyper pigmentation, and melasma can make you look a older than you are. Hydroquinones can help with uneven skin tone, dark spots or brown patches to smooth discoloration. There is still some debate on effect of bio-creams, though they are generally believed to be safe given the limited contact of these products with the viable epidermis and dermis. These products were introduced to dermatologists to help burn victims and scars heal. Not only were scars fading and becoming less visible, but the skin around the treatment areas became more healthy and youthful looking. Some bio-creams for Anti-Aging may help stimulate your natural collagen production. Just as cleansers became important in your teen years in your arsenal against acne, they are still important in your adult years. A good cleanser helps remove makeup, avoid breakouts, and levels out the oil in your skin without drying stripping your natural oils. Especially for sensitive and reactive skin, it’s important to choose the right cleanser for you. Look for natural, fragrance-free, hypoallergenic options. Use a toner to reset the pH balance in your skin and prepare it for your moisturizer. Toners help control the oil. Diet and exercise are also important for healthy skin. A balanced diet including foods high in Vitamin C and Zinc can help. Protein rich foods are also are rich in collagen and other amino acid. Supplements can be a good alternative to avoid nutrient deficiencies. Water is key to the skin’s elasticity. Active lifestyles can promote healthier skin, even thickening the dermis layer. Regular exercise can help reduce inflammation. Increased circulation can bring more nutrients to the skin increase collagen production and repair damage.